May 2013 – River Mangrove Are The Life Of Climate.IS. 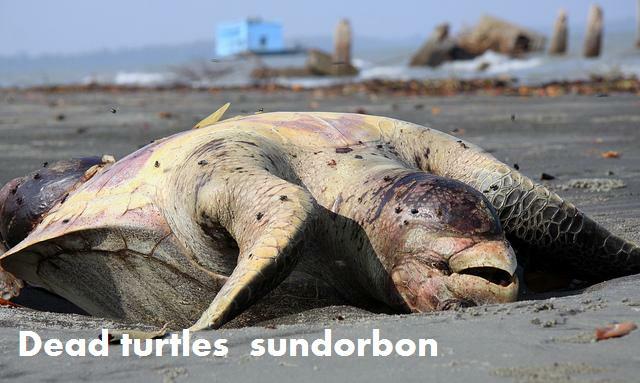 Swift movement to protect the Sundarbans.World Haritage. 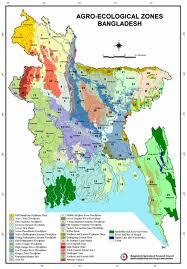 Bangladesh is known as a dense forest far from old. But the British government in the forest or forest nidhanayanja. It is up to the Director-General samarahe. While the humanitarian needs of the huge population, but the indiscriminate cutting of plants may be rightly called forestry resources of this country. A large part of the total forest area in the south of the country (Khulna, Bagerhat, Barguna, Patuakhali, sataksira) coastal area of ​​the brackish water of the sea or tidal mangrove forests of the Sundarbans has been built. The greenhouse effect from >> the Sundarbans (the atmospheric carbon dioxide – oxide – co2 amount of tolerable levels for the most important role in the Sundarbans) in the Sundarbans. The Sundarbans is located in the Bay of Bengal to the south >> dheye the flood, tidal mamatamayi us as a mother is to protect. (Note that a “mahasena” first hit henechile Patuakhali, Barguna, Bhola in the narratives of Chittagong, Cox’s Bazar, Sitakunda, it has been Feni. Was the first hit regions, the areas near the Sundarban region is slowing down due to a lack of the mahasena and rain as a result of the weakening later. was devastating losses from the survivors went. at the Sidr’s wounds still remains the coastal people to carry on working. was 007 in the coastal areas hit brought Sidr’s speed was the hour of the 0 – 40 km. Sidr’s Prevent further loss of speed bhayabhaya has reduced the Sundarbans and the coastal green belts. The balance of temperature and humidity in the Sundarbans >> bayumandalaya growth (forest vegetation prevents sunlight from the ground in the forest soil is warm, so the forest is cold air coming into contact with the soil. Prasbedanera the plant spreads through water vapor in the air. Due to wind increased moisture and air temperature decreases. ankurodgama the seeds and brstipate support) support. To clean the air >> Sundarbans (Sundarbans, and the plants from the air of harmful gases – such as carbon dioxide – oxide-co2, carbon mono – oxide-CO, was removed from the sand and dust in the air and provides adequate amount of oxygen-O2) support. >> Sundarbans animal birds (UNDP and FAO’s survey found only in the Sundarbans in 4 0 Tiger, 1 lakh from 0 thousand deer, 40 of the monkeys, 43 in the wild sukura, 3 thousand different species of birds. Market bhalluka, snakes, crocodiles, squirrel , nearly the same gui snakes and insects live in the Sundarbans. mithe the water Dolphin’s abhyaranya many rivers in the Sundarbans.) haven. This creature >> The Sundarbans – a place of great diversity conservation. Microbiological millions of plant and animal genes, and the sum of the body and the environment as a complex organism – the variety of makes. The area of ​​the organism – the protection of the diversity of the forest is very important. Forest destruction is a result of various plants absorb from the earth. This is a realistic khadyasrnkhala destroyed. The forms or species are threatened with extinction. The Sundarbans plays an important role in the economy >>. The natural resources of the forest. Oil, gas, coal can be done at any time, but no kaleya forestry resource protection and care of the phurabena bingana is agreed. This is a renewal of the banake inexhaustible source of wealth. The. Cabinet housing bubble, and supplies. 4. Supply of raw materials to industry: match, plywood, paper, bricks, boats and boat, sitalapati, bamboo products evolved, betajata materials, silk and tobacco, forestry, and oil from the seeds of the plant. A supply of herbal medicines >> Sundarbans donor. Ayurbedi, iunani, homeopathy and herbal elopyathi cakitsa in the original materials in the production of medicine, leaves, bark, roots, flowers, seeds. The use of the plant is about 700. The supply of this plant comes from the Sundarbans. So much of the Sundarbans dekhachenai I feel much better for our needs. So we needed for our need to protect the sundarike. The Sundarban is the security of our beautiful forest with a chest cold inside the power plant is going to Rampaul. We’re more intense. If you need to get off the streets will not stick. Let’s hope so … I do not like the Sundarbans Rampal power plant. Let’s be a little eye bulai 1834 acres of land acquired for the power project in what we’re losing. • Power stations within a radius of 6 and 10, 353 tons and 85 tons of rice produced in the project area 1. • In addition to the main power center within a radius of 10 is produced 1,40,461 tonnes of other cereals. • the home of 34 cows, and 3 mahisa, 4 goats, 1 sheep, 5 ducks, 6-7 in the poultry keeping. Mangrove forest with the river and canal connections to the area, freshwater and brackish water fish rich assortment. Mesh across the canal and river network to protect biological diversity and balance. Within a radius of 10 km from the center of the 5-year project in 1866 and 1834 metric tons of acres of land (56941 metric tons) of fish are produced. EIA report for the project to build power stations in the area (1834 acres) of rice, fish, domestic animals, etc. The product will destroy the optimism that has been expressed, if you follow the proper management of the environment outside the 10 km area will not have any adverse effects (). Although various types of construction work, dressing, was a wide variety of chemical and oil: sarana of animals and maidbara the river, connecting the canal, the tide – the tide inundation of land in the area of ​​fisheries habitat, fisheries, and the diversity of the movement can be affected by the shocks have been published. I can give you a voice to the opposition to this agreement, will add a new dimension. To protect our country, we do not have the protection of forests in this movement, the movement of your Facebook friends to tell 10 people. The share of electricity Rampal bhayabhayata center. Rampaul for coal and imported coal bidyutkendrera will be transmitted through the Sundarbans in! The Sundarbans through the thousands of tons of coal transport ships throughout the year will move. The study of the environment iaie), according to the Center Rampaul for 47 million a year in the 0 tons of coal in Indonesia, and South Africa astreliya way to import from the sea. Amadanikrta Mongla ports by ship coal through the Sundarban Rampaul from the center of power should go. Sundarban is the largest ship in the depth of the river is suitable for cattle because of the large coal ship will bring up the Sundarbans Akram, Akram then point the coal shipped from multiple small laitareja manlabandare should go. Hirana points inside the forest for the 30 km river Akram points in the large vessels of up to 59 days and Akram Point about 67 km from the port of Mongla small laitareja ship thousands of tons of coal per year for 36 days to transport! 5) Light the night in search of the ship when the ship disapprovingly of the Sundarban forests, including protected animals – birds jibanacakrera serious adverse effects and so on. This all results in the transport of coal from the Sundarban describes the studies have been published optimism lanes international law, the law of conservation of the environment in the running, slow-motion movement of the ship, and you do not unnecessarily by lightning or unnecessary use of these controls are terrible Sundarban is the impact on the environment will be minor damages or samanya! Sundarbans: the largest mangrove forest of the world.BUT!! Sundarbans mangrove forest is the largest in the world, and covers areas of India and Bangladesh for more than 80 kilometers in forming Sundarbans National Park, declared a World Heritage Site by Unesco. A third of this area is covered by water and marshes, as well Sundarbans since 1966 has been considered a sanctuary for wildlife because it is estimated that there live about 400 Royal Bengal Tigers and more than 30,000 deer in this area. The forest lies at the feet of the Ganges and is spread across areas of Bangladesh and West Bengal, India, forming the seaward fringe of the delta. The seasonally-flooded Sundarbans freshwater swamp forests lie inland from the mangrove forests. The forest covers 10,000 km2 of which about 6,000 are in Bangladesh. It became inscribed as a UNESCO world heritage site in 1997, but while the Bangladeshi and Indian portions constitute the same continuous ecotope, these are separately listed in the UNESCO world heritage list as the Sundarbans and Sundarbans National Park, respectively. The Sundarbans is intersected by a complex network of tidal waterways, mudflats and small islands of salt-tolerant mangrove forests. The area is known for the eponymous Royal Bengal Tiger (Panthera tigris tigris), as well as numerous fauna including species of birds, spotted deer, crocodiles and snakes. It is estimated that there are now 500 Bengal tigers and about 30,000 spotted deer in the area. Sundarbans was designated a Ramsar site on May 21, 1992. The fertile soils of the delta have been subject to intensive human use for centuries, and the ecoregion has been mostly converted to intensive agriculture, with few enclaves of forest remaining. The remaining forests, together with the Sundarbans mangroves, are important habitat for the endangered tiger. Additionally, the Sundarbans serves a crucial function as a protective flood barrier for the millions of inhabitants in and around Kolkata (Calcutta) against the result of cyclone activity. Sundarbans is home to many different species of birds, mammals, insects, reptiles and fish. It is estimated that there may be found more than 120 species of fish and over 260 species of birds and more than fifty species of reptiles and eight amphibians. Many tourists go there to see the Bengal tigers, saltwater crocodiles, leopards and snakes cobra. The final execution of the project, land acquisition and construction of the power plant, and all the work done after the signing of the environmental impact of coal power plant construction or imapekta Environmental Assessment (iaie) and ask for the public’s opinion is tamasai! But this was a terrible joke with the people who set up a power plant in Bangladesh which is not only one of the world’s natural resources are very near the Sundarbans, is located in the dangerous range. Rampaul coal power stations for the land acquisition order is 010 of 7 December, the Indian company enatipisira with the PDP joint venture or a joint investment agreement is 9 January 01 at the the 013 in January “Final Report on Environmental Impact Assessment (EIA) of 2 × (500-660) MW Coal Based Power Plant to be constructed at the location of Khulna “in the center of the coal iaieti oyebasaite fitting PDP has been to seek the opinion of 15 February 013. The final execution of the project without clearance from the complete removal of the investment environment and the acceptance of the license for the purpose of this question is iaiera. Whatever the distance whole area of ​​the Sundarbans bastusansthanera intimate with, because it is a sensitive area of ​​13 0 MW coal power plant to generate large-scale, and the results will be very important in the decision. Environmental impact of the construction of power stations in the thick of the spots, the center of operations for the duration of the power plant’s coal transportation impact analysis has been divided into three. D) The area of ​​mangrove forest, rivers and canals, freshwater and brackish water fish rich database connection to the area. Mesh across the canal and river network of biological diversity and balance. Within a radius of 10 km from the center of the 5 18.66 metric tons per year, and the project area (1834 acres), 569.41 metric tons of fish were produced. 3) for the project byabahrata equipment, vehicles, generators, etc. Burge oil burning will emit harmful carbon dioxide, and nitrogen dioxide. This will be the amount of carbon and naitrojera ksitakara influence or 4/5 of what sort of construction will be a review of the report is not iaie. 4) use of construction equipment and vehicles will result in noise. The construction phase noise levels and the effect on the environment around the Sundarbans and project it has not been verified in iaie. 6) a construction crane near the river – water canals, construction machinery and transport oil out of sarita water may cause pollution. 7) dredging of the river will ghola. Dredging is not the right way to control the oil grija and give out the river water will be polluted. 8) mangrove forest that lines the banks of the river there is an animal that can cut a variety of reasons, including the construction of the building jeti reach any option. Jharera thicket of brushwood to chop off the coast of the birds, especially birds of sarasa and heron colony will be lost. According to the report iaie 13 0 MW of electricity per day from about 14 tons of toxic sulfur dioxide (SO2) and 85 tons of toxic nitrogen dioxide (NO2) is emitted. This is the normal way, a huge amount of SO2 and NO2 concentration of toxic gas in the air Sundarban than the current density increases with kayekaguna will destroy the entire Sundarbans. The report of the Environment Protection Act 1997, within the limits specified in the report to show iaie was a fraud protection – Environmental ‘sensitive’ areas, rather than in the Sundarban standards for residential and rural-area standards have been selected! is much below the MOEF’s standard (ECR 1997), 80 μg/m3 for residential and rural area. The SO2 emissions from coal power stations due to the months from November to February, the concentration of SO2 in the air at the time of the Sundarban ghanamitare 8 maikrograma environmental law, which increased from 53.4 maikrograma 1997 (ECR 1997), according to the Rural Residential (residential and rural) areas ghanamitare assigned to each level of less than 80 maikrograma. Similarly, the Sundarbans, the NO2 concentration of 16 to 51 maikrograma trebled. Their maikrograma but within safe levels have been claimed. But the question remains whether residential or rural area in the Sundarbans, an area sensitive to the environment in the past? Like the Sundarbans, an area sensitive to environmental standards as well as standards for residential and rural areas to inspect nirdharata is Environment Protection Act -1997 ghatatei cause is understood. Environmentally sensitive areas, SO2 and NO2 in the air, according to the law of the density of the ghanamitare 30 maikrograma (30 μg/m3) can not be more than. Since the standards for environmental sensitive areas (30 μg/m3) compared with coal power project Rampal can not be avoided in any way that is designed to cover the full report Sundarban air concentrations of toxic gases as well as standards for residential and rural areas, the standards have been used! According to reports of the use of coal for electricity iaie animals from the river water per hour and will be ghanamitara 9150. The use of coal for power at the center, including the remaining sitalikarana water purification ghanamitara at 5150 hours and will be returned to the river again. As a result of the withdrawal of water from the river will be effective in 4000 ghanamitara per hour. Iaie the animal in the 4000 meters of water per hour withdrawal from the salinity of the water, river sediment flow, flood, high tide low tide, fish, plants and animals, including the creation of an analysis of the impact that this has on the animals in the 4000 ghanamitara water, dried Less than 1 percent of the total water flow of the season. Is subject to anxiety, withdrawal of water is less than 1 percent has been used to show the flow of information is the most recent period, 8 years ago, but 005 Received by the Board in the development of Bangladesh. (On page 85), but this iaie riportei was accepted, the upstream industry, agriculture, housekeeping, including the various development activities and environmental disasters due to the river from the day of the withdrawal of the increase in the dry days, water flows are less in the animals of the river is also a concern. (page 50). It will take time to build the center at 4 years and have at least 5 years of operation. Throughout this long period of time, then the flow of water iaie report on an animal similar to the way it was 005. 4 hours from the time of the animal when the animal withdraws water flow meters on the review of the implications of what just may not be any change in the properties of haidrolajikyala (may not be changed) is a national conversation that there is no scope for . 4) Water Pollution: He said filter, whether the emissions from coal power stations if it led to different levels of pollutants that coal power stations in the world during the ‘zero emissions’ or ‘zero discharge’ policy is adopted. The enatipisa Rampal coal power stations to generate, and the enatipisi when the coal power stations to create a ‘zero discharge’ policy following the example of India’s Chhattisgarh Rayagada near 13 0 MW coal power stations iaie report said: “Zero Discharge concepts will be followed “. (From 0 to 13 MW power plant at Rayagada iaie, Executive Summary, page by e -1). 100 hours or 5150 ghanamitara ghanamitara However, the emissions from coal power stations emit the water temperature, water release rate, water drabibhuti various components with different levels of water pollution, destruction of the environment will cause the whole Sundarbans area. But the more serious matter, and one side is the toxic ash environments emitted when the pollution is (on page 87) on the other hand, this ash in the project’s total 1834 acres of land within the 1414 acres of land fill is planned! (On page 63) of this waste ash’s toxic heavy metals in the mix with rain water, soil and the soil below the water level in the area cuiye project will pollute the area is not limited to the impact of the project. Simante ash waste produced in factories, brick making, and the possibility of using a variety of industries iaie report, but in fact there’s no factory will byabahara such a plan has not been confirmed. The pukuriyara only 50 MW power station ash utpadi it is appropriate to use the. Daily waste ash produced from power stations barapukuriya 300 metrikatana a cement factory, rather than use of ash ponds and pande Ash heap of disasters brought about by being in the environment. Since the 006 and 010 until the year 60 of the 613 tons of the ash pond and the pond has been filled almost entirely. 100 acres for the ash pond at Rampal being planned. Ash pond or pond ash heap of ash and fly in the air, bottom ash mixed with soil and water cuiye asapasera jalabhumite toxic heavy metals cause serious pollution. Rampaul for coal and imported coal bidyutkendrera will be transmitted through the Sundarbans in! The Sundarbans through the thousands of tons of coal transport ship traffic throughout the year that will destroy the environment as a whole Sundarbans. This all results in the transport of coal from the Sundarban describes the studies have been published optimism lanes international law, the law of conservation of the environment in the running, slow-motion movement of the ship, and you do not sound unnecessarily restrict the use of unnecessary light of these terrible Sundarban is the impact on the environment will be minor damages or samanya! Proposed Coal Power Station Rampal iaie brief review of the report is clear from this that, in iaie used the wrong standard, the harmful effects are reduced, in some cases, the magnitude of the loss is not a paryalocanai, ‘may’, ‘will be more likely, less chance of ‘The adjectival use damages the level of light in the vicinity of the Sundarbans in the 13 0 MW coal power plants avoided to the maximum effort, despite still real iaie in power stations to generate, manage and coal transportation in the Sundarbans on the possible adverse effects of all the information out Coal power project, which is proposed to consider the environmental consideration is unacceptable. In fact, more than a little of the real enatipisirai 13 0 MW coal power station environmental permit has been central to the Green Panel. The 8 October 010 at the The Hindu newspaper published NTPC’s coal-based project in MP turned down or, Madhya Pradesh enatipisira coal-based project was canceled, the news is: populous areas of farmland on the thermal power allowed to be called the Central green panel in Madhya Pradesh tharamala National Power Corporation (enatipisi) 0 of 13 MW and an electricity generation project did not allow. But the opportunity to create the enatipisike 13 0 MW power plant is stored in a forest of Sundarban, agricultural land, the local people’s lives – the potential adverse effects on livelihoods that fly in the face. Rampal will be the center two countries on the basis of equal partnership. The project is aimed at implementation of the representatives of the two countries Bangladesh – India Friendship Power Company, a company has been formed. This project will be funded 15% PDP, 15% Indian and 70% of the loan will be. What is the net profit will be shared at the rate of 50%. PDB generating electricity purchases. Electricity price will be determined according to the formula. What is the formula? If the price of coal per ton to $ 105 per unit, the price of electricity will cost 90 paise and 5 145 dollars each if you pay 85 paise per unit of electricity 8. Maoya with the Native oriyana group, Khulna and Chittagong labanacara anoyaraya three kayalabhittika power projects that deal with the PDB, the government and Anwara and labanacara maoya 4 rupees per unit from 80 paise at 3 in the purchase. The government already has 145 million of imported coal for the Rampal. 8 money from the PDB at 85 paise per unit of electricity that it purchases. It is a human disaster. As a result of the acquisition of 8 acres of land in 1830 dhani family will be evicted. Rampaul employment may be at the center of the top 600 people, refugees, and the action will result in almost 7 500 families. But, we have a couple of crores every year haraba agricultural production. This is due to the effects of simultaneous air and water pollution. The area around the project areas are more vulnerable because esidabrsti, which prevents the growth of trees and forests dangerous levels. In a survey conducted in the United States, the country’s total carbon dioxide in the 010 – oxide 81 percent of udagirana kayalabhittika projects, of which only 41 percent of the total energy was found. In all countries of the world to be careful of is the kayalabhittika projects. Recently, to avoid this kind of project, I was more cestatai. Each of the 500 MW power project to generate approximately kayalabhittika. Billion gallons of water are needed. Rampal project will meet the animal is undoubtedly the Nile River. Salt water and fresh water animal river and mangrove forests to maintain a balance between the needs of a particular role. This naditira connection with the whole region, including the overall biodiversity. This field is a very important settlements in the Nile River. But we’re going to build this project using the river astitbakei phelachi endangered. The project area is declared protected and sensitive areas of the Sundarbans is just 4 km away from. Other countries causes serious pollution to the environment is protected woodland and settlement 15 – 0 kilometers kayalabhittika power stations are not allowed to build. Even the Indian company of his own on the central provinces of the country have not been to a similar project. According to the report, the proposed project iaie just 14 kilometers away from the Sundarbans! It is 14 km distance from the Sundarbans is the debate. Iaie in real time in one place is a place sundarabanerai was part of the project. The center will have 660 MW of coal power production unit. Construction of the first unit to take four years. The creation of the first unit in the whole area of ​​the four-year environment, agriculture, fisheries and water resources of the harmful effect on. Sundarban goods and equipment to build power stations will be transmitted through the river. Additional vessels to navigate, oil discharge, sabdadusana, lighting, waste emissions, especially in the Sundarbans eco-system of the Royal Bengal Tiger, Deer, Dolphin, on the harmful effects of mangrove forests have been concerns in the iaie. The water will drejinyera ghola. If you do not properly control the dredging of oil – contaminated water to be disposed of grija. The river riparian mangrove forest animals that have rows that will cut jeti nirmanasaha a variety of reasons. Due to chop off the riverbank brushwood brushwood various birds, especially birds settled sarasa and bakajatiya will be lost. According to the report iaie power stations in operation at 13 MW power plant daily from 0 to about 14 tons of toxic sulfur dioxide – nitrogen oxides and 85 tons of toxic die – will emit oxides. Pratighantaya 9 of 150 animals from the Nile water ghanamitara will be revoked. He was talking to filter, water emissions from coal power stations if it led to different levels of pollutants that coal power stations in the world during the ‘zero emissions’ or ‘zero discharge’ policy is adopted. Enatipisii the coal power plant construction in India, and the ‘zero discharge’ policy has been followed. The report has been iaie – Rampaul purification of coal gas, the liquid waste or animal iphluyenta hour river flowed at a rate of 100 ghanamitara will be, which will destroy the whole environment of the Sundarbans. According to the report iaie waste gases emitted from the chimney of 75 m height will be 1 in 5 degree Celsius temperature. The temperature will be around. 7 lakh 50 thousand tons of coal in the center of Fly Ash and Bottom Ash million tons will be produced. The various heavy metals, such as – arsenic, mercury, lead, nickel, bhyanadiyama, beriliyama, byariyama, cadmium, chromium, selenium, radium is important. But the terrible thing is, on the one hand is the issue of the pollution of the environment is toxic ash, the ash with a total of 1834 acres, 1414 acres of land has been designed to be filled! This is certainly barjyachaiyera toxic heavy metals in the soil mix with rain water and ground water are contaminated layers. The effects of the project area is not limited. Produced barjyachai cement factories, brick making, and a variety of industrial possibility iaie report, but the fact of the pukuriyara only 50 MW of electricity from the generating daily 300 metric tons barjyachai a cement factory using the ash ponds or Ash pande pile and the environmental disaster brought the. Power station turbines, generators, compressors, pumps, cooling towers, coal, move down, etc., used to transport equipment and vehicles from the horror sabdadusana. From coal power stations emit sulfur, nitrogen, carbon, etc., of various compounds or mercury, lead, cadmium, byariyama infections caused by bacteria, and heavy metals pollution in the area around the cooling towers in the form of pneumonia spread of the disease. In the center of power for the 47 million tons of coal in the 0 to Indonesia, Australia and South Africa will have to import from the sea. Imported coal Sundarban through Mongla port by ship and then from there it will go to the center of power Rampal. Sundarban is the largest ship in the depth of the river is suitable for cattle because of the large coal ship will bring up the Sundarban Akram, Akram then the ship coal from multiple small laitareja manlabandare should go. Around 13 thousand tons per day for 13 0 MW coal costs. At the end of the second phase of the 6-ton coal costs. It’s a beautiful forest hirana points up to 30 points from the river Akram Akram large ships in 59 days and approximately 67 km from Mongla port to point the way to a small laitareja ship thousands of tons of coal per year for 36 days to transport! Samiksatei the environment has been acknowledged, the Sundarbans to navigate the ship through the transport of coal from the coal transport ship coal powder, or a piece of broken coal, oil, dirt – garbage, cook a huge amount of contaminated waste is disposed of panisaha – Canal – matisaha Whole Sundarbans will pollute. Calacalakari ship dheuye erosion of the arrow is running. Coal and coal transport ship loading – unloading equipment from a wide range of night will sabdadusana. Light the lights at night in search of the ship when the ship movement pranisaha Sundarbans Reserved Forest serious harmful effects on animals jibanacakrera. Construction of power stations in the country that considers itself enatipisi could not do the same, considering all of their projects can not be canceled? Indian investment in the project is 15% owned 50%. Electricity price has more than doubled. 7500 families are being evicted. Losing agricultural land resources. Environmental disasters in Bangladesh. 50% percent of the ownership of the Indian company? Madhya Pradesh in India permitted establishment of Bangladesh Sundarbans on the enatipisikei 13 0 MW power plant to generate potentially damaging effects on the environment are opportunities to fly in the face without. The Indian company will not pay karao Rampal power plant profits. It is to favor the national interest? And this is what we will be swallowing?